A stock price may rise when a company's competitive position becomes more favorable. Corporate profits are among the biggest drivers of stock prices. 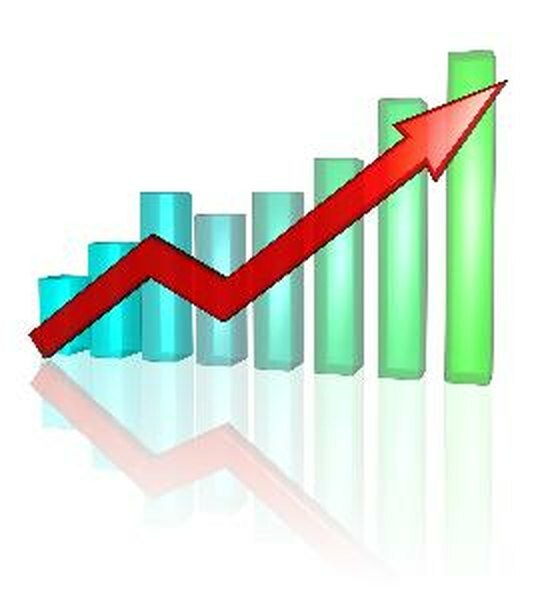 Higher profits suggest that a company is growing, which tends to have a positive impact on the way its stock is valued. Profitability is not the only factor, however. The equity markets, where stocks trade, are also impacted by changing economic conditions and the emotions of investors. The direction of stock prices can be reversed in a moment's notice based on a number of factors. Investors tend to reward the stocks of companies that not only increase profits and revenues each quarter and year, but also expect to continue delivering growth into the future. As a company increases its profitability, its overall value increases, and investors are likely to be rewarded with a rising stock price. Stock prices are also affected by a company's ability, or inability, to surpasses profit expectations established by financial analysts. Economic conditions, both domestically and overseas, can affect the direction of stock prices. Weak economic conditions can suppress corporate profits, which can cause companies to cut back instead of grow. When investors recognize that economic conditions are not conducive to profit growth, they are more likely to abandon the the stock market in search of more stable investments such as bonds, which sends stock prices lower. While investor response to economic data can be unpredictable, stocks tend to rise when economies are growing at a reasonable rate. In some cases the factors affecting stock prices can be traced to an actual event, such as stronger-than-anticipated profits. Other times the market drivers are more obscure. Some buying and selling activity in stocks might be attributed to the way investors are feeling. A study cited by the University of Pennsylvania suggests that when stock price movements cannot be traced to a specific event, they might be the result of investor sentiment. When investors are not confident in the stock markets, they hold back. When they are confident, they buy. Internal corporate developments are key drivers of stock prices. For example, a company's new product launch might result in a rush on its stock. The same might happen when a company makes an acquisition that allows it to expand into new markets or increase its market share. At the same time, a negative event, such as the sudden retirement of a key executive, can push a stock's value down.